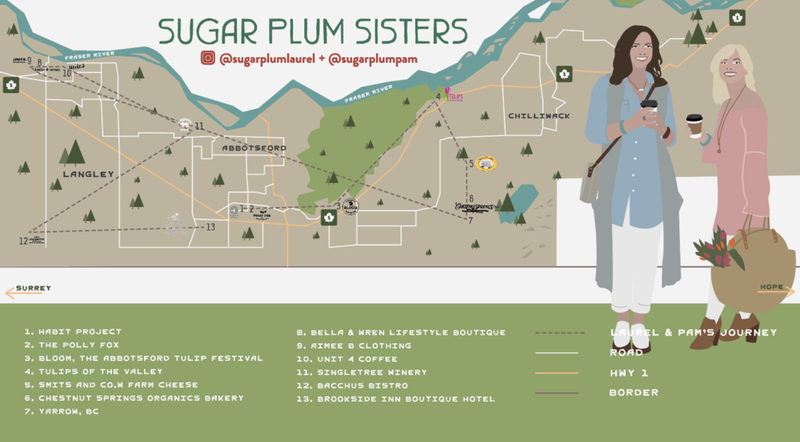 Hello, it’s Pam and Laurel of the Sugar Plum Sisters here (@sugarplumpam and @sugarplumlaurel) and we’re so excited to share our idea of a PERFECT spring day in the Fraser Valley. Fuel up for an adventure packed day with a blue majik bowl and fresh pressed juice at the Habit Project and make a quick pit stop next door at the Polly Fox to grab a coffee and some gluten-free treats for the road (our favourite is the coconut milk latte and a salted cowboy cookie). 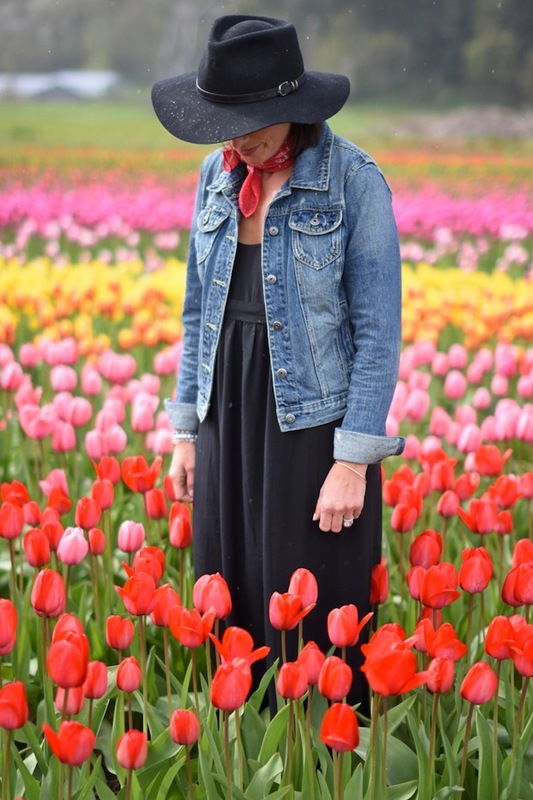 Armed with treats, make your way to the Tulip Trail, first stop; Bloom, the Abbotsford Tulip Festival. Give yourself time to browse the myriad of different varieties and the U Pick area for a bucket of tulips and capture some beautiful photos (aka bring your selfie stick!). Don’t forget to wear your boots….even in the rain, these fields are stunning and some squishy mud just adds to the experience…plus they have a boot cleaner there. BONUS. Head next to Tulips of the Valley, where you’ll get to experience over 7 million tulips in true Dutch form. Enjoy traditional Dutch foods, a raised viewing platform to give you a birds eye view (panorama photo op!) of the fields and an offering of beautiful daffodil and hyacinth fields as well! And don’t forget to pick up some flowers to bring home with you! Before your next food destination (hey, Pam and I love to celebrate food!) make a pitstop at Smits & Co.wfarm to pick out some traditionally produced cheese. This family farm crafts some ridiculously good Gouda cheese…and offer an extensive list of varieties. You’ll want to sample some..and bring some home too! Exploring done, now is the perfect time to stop for a quick lunch at Chestnut Springs Organics Bakery in Yarrow. Their sandwiches and soups make for a cozy lunch after all the fresh air. You might want to pick up some of their homemade granola or bread to bring home with you. If time is on your side, head to the nearby Vedder River Rotary Trail for a relaxing stroll and let that lunch settle! Hop in your car and make your way to Fort Langley for some afternoon shopping. Bella & Wren and Aimee B. Clothing & Accessories offer beautiful women’s fashion and it’s hard to keep it to just a browse while visiting! Be sure to stop at Unit 4 Coffee for a tea or latte and then “sip and shop” your way around their home goods and decor. If you’re looking for a gift, this is your place! It’s been a full day and what’s the best way to start winding down? Visiting some local wineries, of course! Singletree Winery is such a special place. 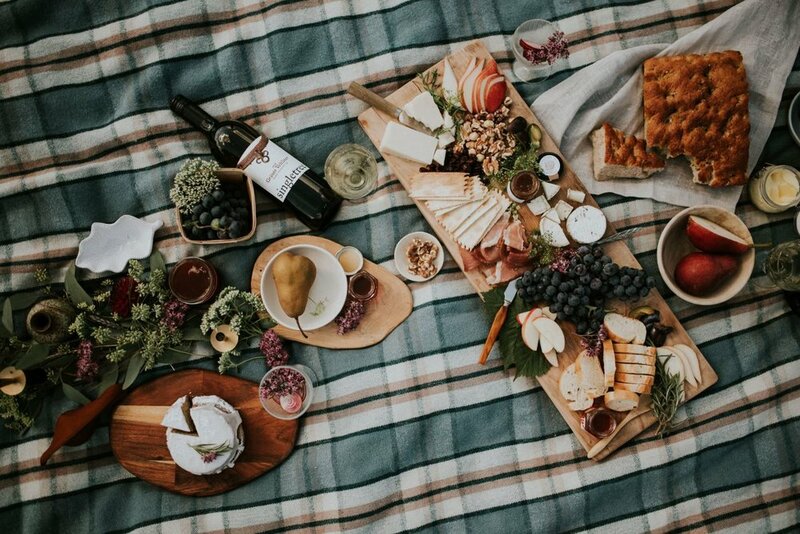 The perfect spot to enjoy a charcuterie board in their picnic area and sample some of their wines. It’s hard to imagine a better way to kick back and relax. A short drive away is the Chaberton Estate Winery where we invite you to enjoy an unrushed dinner at the Bacchus Bistro. Pre-pare to be wowed by their offering of fresh seasonal food featuring local ingredients..think French meets West Coast. Their food is exquisite! Of course you’ll want to enjoy one of their BC wines paired with your meal. It really is an intimate and peaceful setting and the perfect place to relax and take in all that you have experienced. It’s time to tuck in for the evening and cap off a perfect day exploring the Fraser Valley. Last stop? The Brookside Inn. It’s not time to end your experience quite yet! This boutique hotel is located in Abbotsford’s countryside and in a very short time has become renowned for it’s attention to detail, delicious breakfasts and unparalleled service. So much so that the inn was recently awarded Trip Advisor’s Traveller’s Choice #1 Small Hotel in Canada. 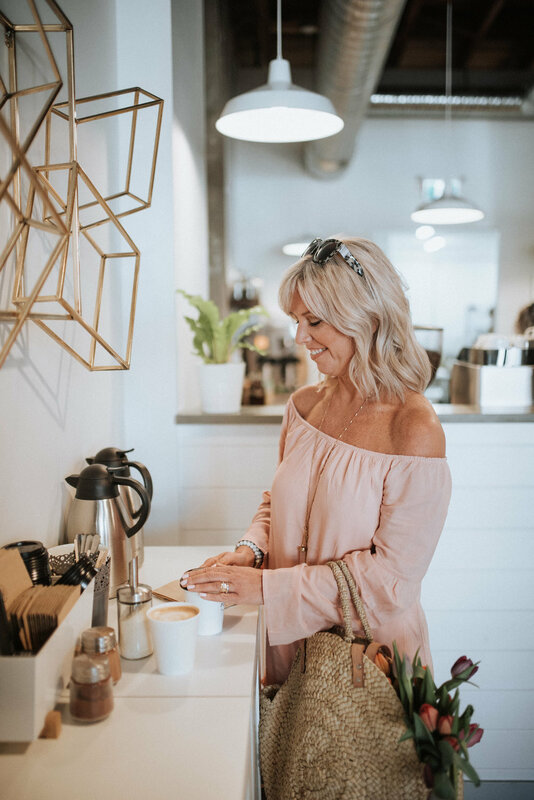 A luxurious night’s sleep and freshly made breakfast the next morning feels like the perfect way to round out our Fraser Valley itinerary before getting back to reality!